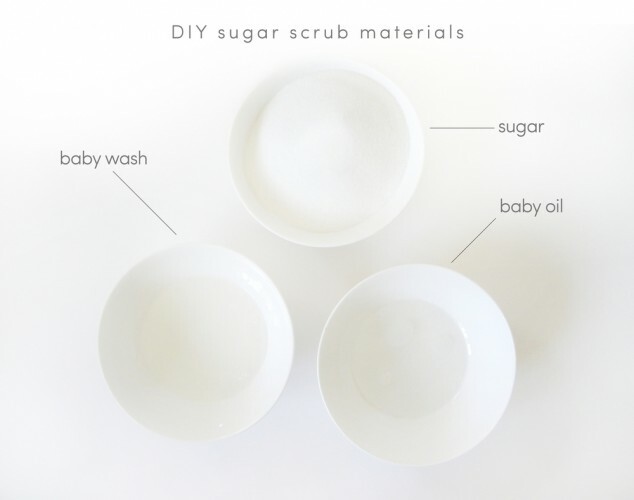 DIY Sugar Scrub + Printable! Are you hosting a bridal shower or baby shower party anytime soon? 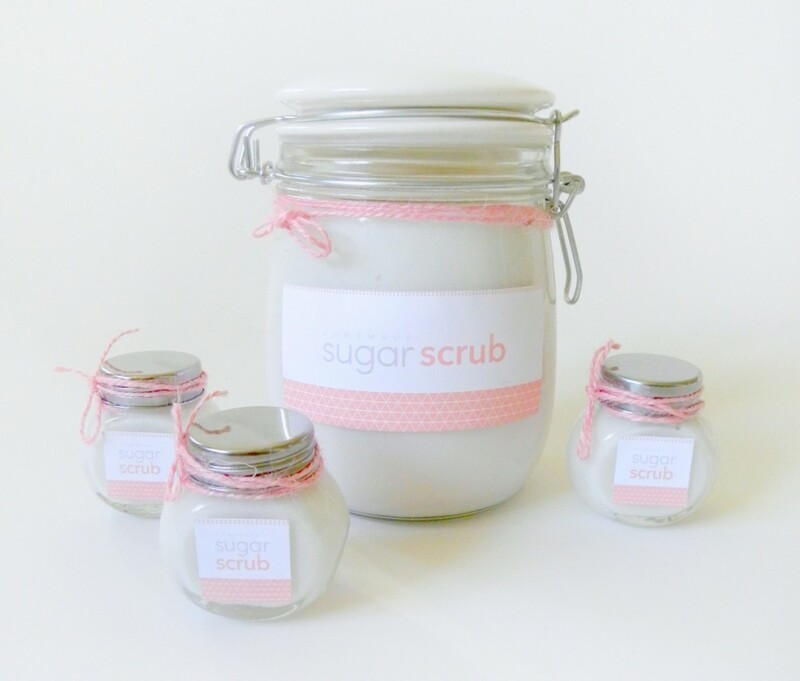 If so, these DIY sugar scrubs could be a nice party favor. I found super easy recipe at Personal Creations dot com and couldn’t resist making my own. 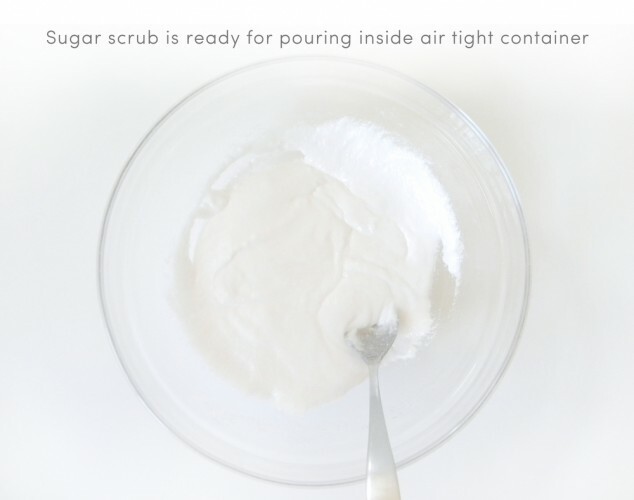 The ingredients are very easy to find, and you may already have them at home. 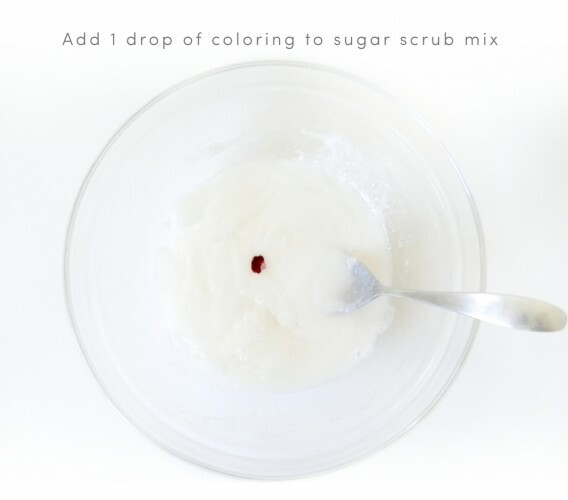 This recipe looks very luscious just as is, but if you’d like to customize it for any party, you can add some “liquid soap” color or food coloring. I found this container at Ben Franklin Crafts in the “mason jars crafts” section. 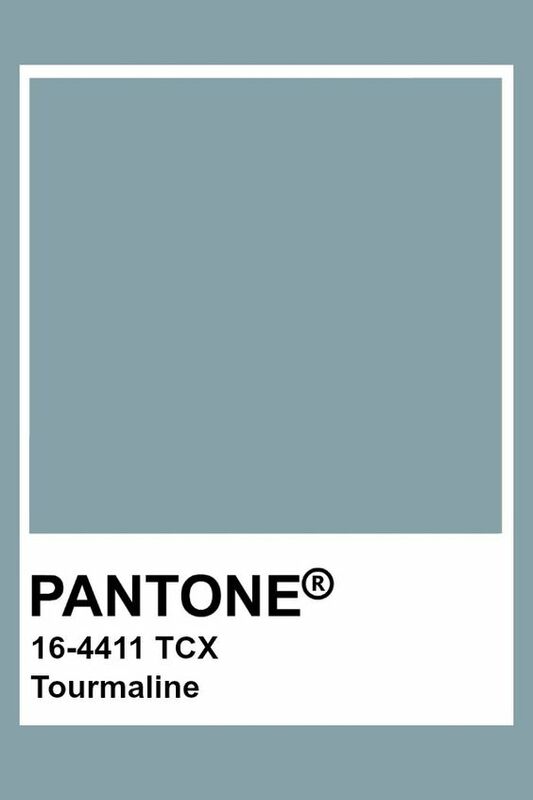 I specifically chose this one, because it had a smooth surface with no logos. 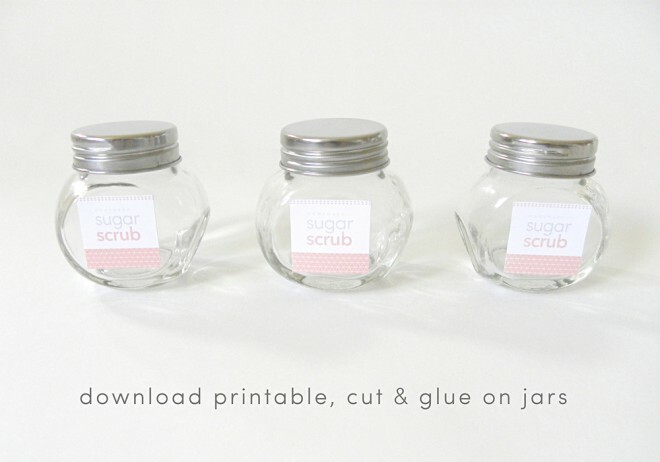 Perfect for gluing the printable label I designed for you. 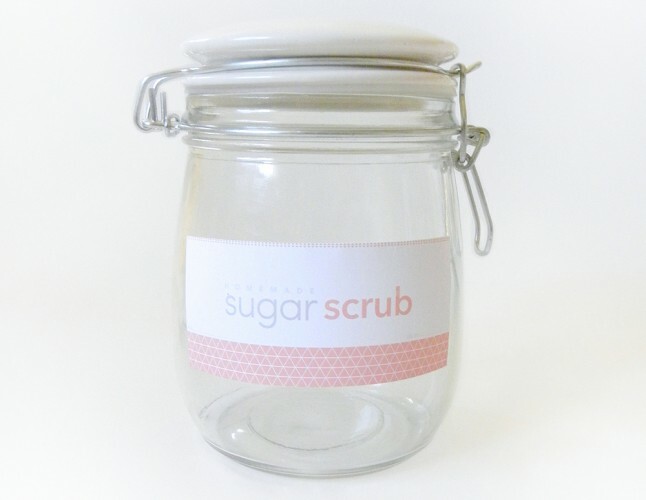 The small containers above are the perfect size for bridal or baby shower party favors. They could also be customized for a wedding. You can find these at the $1 section of Ben Franklins Crafts. What do you think? 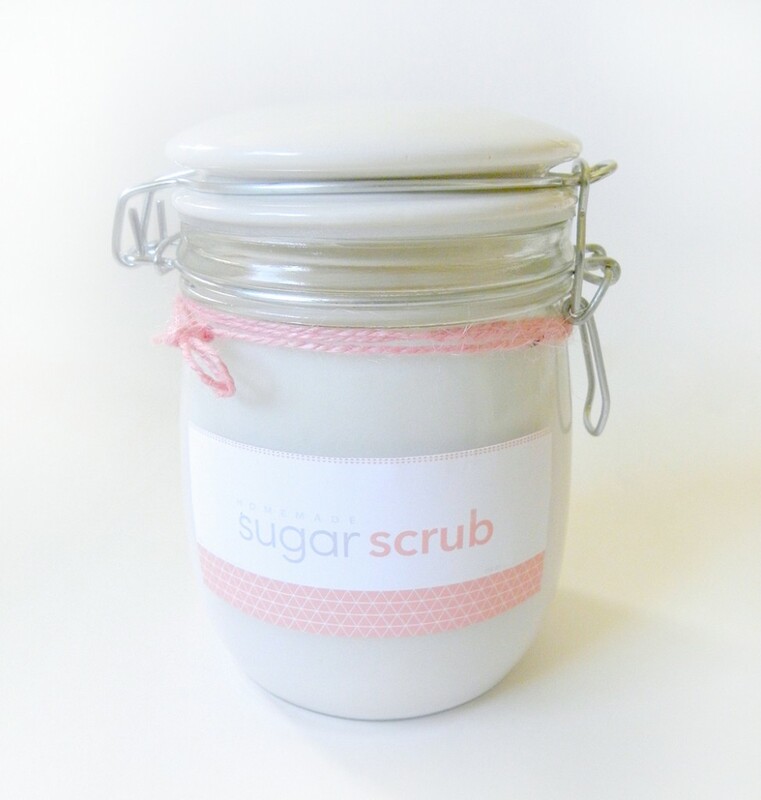 Until now, I didn’t know the benefits of sugar scrubs, and I made an extra batch for myself for trying this weekend. 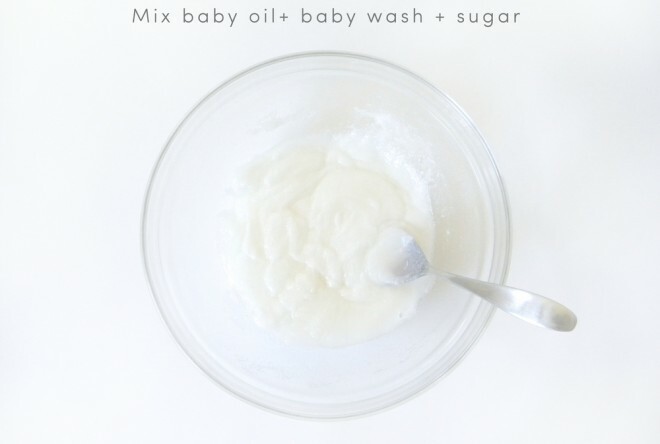 I will also try it on my daughter since all the ingredients are safe for kids too. 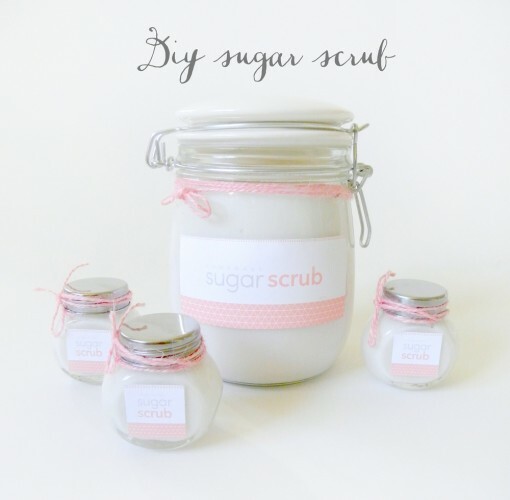 Sugar Scrub graphic design by kraft&mint ©. Geometric triangle illustration from PRETTYGRAPHIK at Luvly Marketplace. Cute labels! I love the pin polka dots.